 Leoni F, Fossati G, Lewis E C, et al. The histone deacetylase inhibitor ITF2357 reduces production of pro-inflammatory cytokines in vitro and systemic inflammation in vivo. Molecular Medicine, 2005, 11(1-12): 1. 1. Inhibition of HDAC activity by ITF2357 ameliorates joint inflammation and prevents cartilage and bone destruction in experimental arthritis. Mol Med. 2011 May-Jun;17(5-6):391-6. doi: 10.2119/molmed.2011.00058. Epub 2011 Feb 11. In models of arthritis, ITF2357, an HDACi, reduced joint swelling and cell influx into the joint cavity, improved the chondrocyte metabolic function, decreased production of proinflammatory cytokines, ameliorates the severity scores and prevented bone destruction. 2. 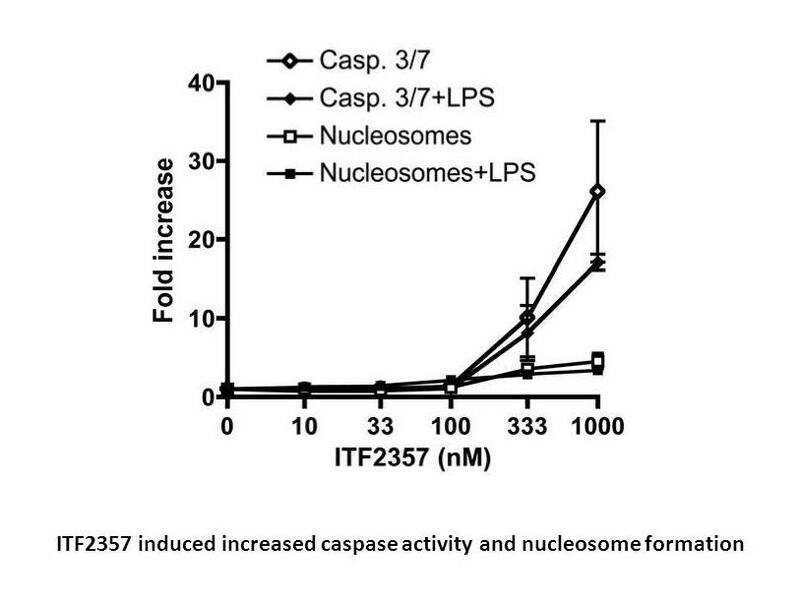 Class I and II histone deacetylase inhibition by ITF2357 reduces SLE pathogenesis in vivo. 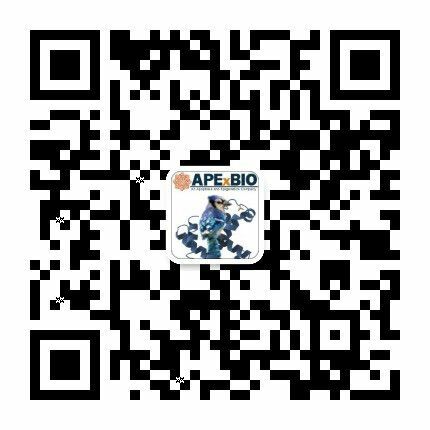 Clin Immunol. 2014 Mar;151(1):29-42. doi: 10.1016/j.clim.2014.01.002. Epub 2014 Jan 15. 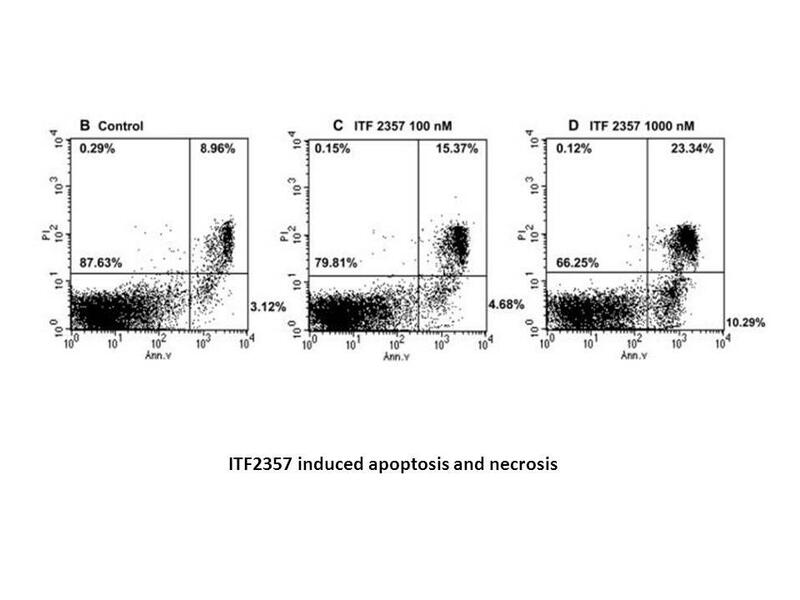 ITF2357, an inhibitor of class I and II HDAC, decreased renal disease, inflammatory cytokines and Th17 phenotype in NZB/W mice; while it increased the percentage of Tregs and Foxp3 acetylation. 3. The oral histone deacetylase inhibitor ITF2357 reduces cytokines and protects islet β cells in vivo and in vitro. Mol Med. 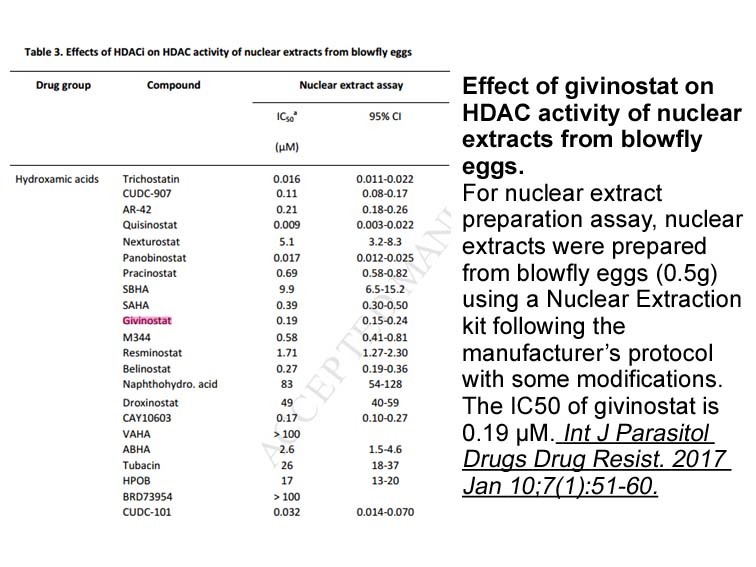 2011 May-Jun;17(5-6):369-77. doi: 10.2119/molmed.2010.00152. Epub 2010 Dec 22. 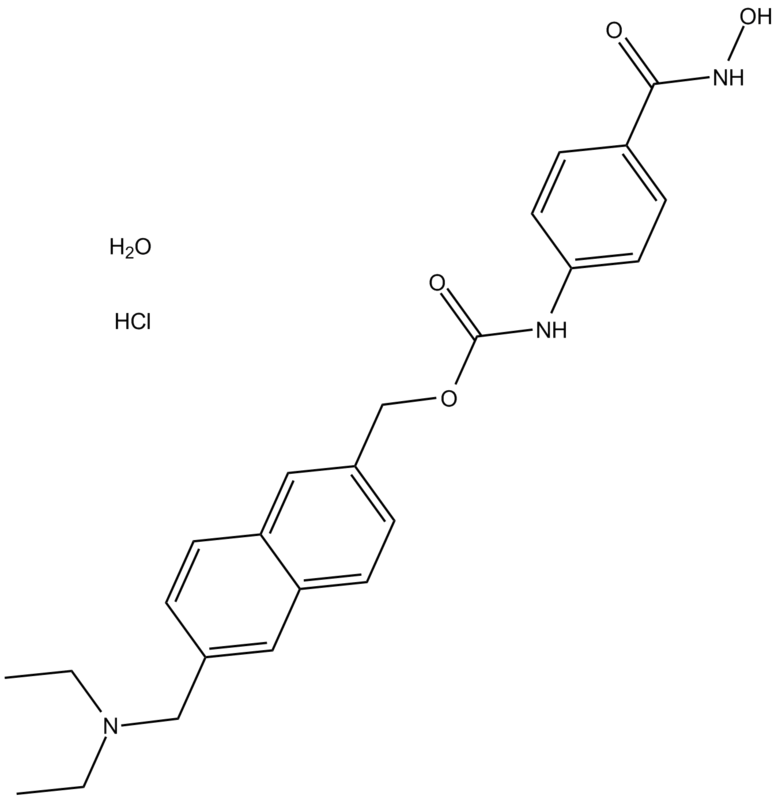 ITF2357 is an HDAC inhibitor that inhibits production of nitrite, TNFα and IFNγ in peritoneal macrophages and splenocytes. ITF2357 normalized STZ-induced hyperglycemia in mice returning serum nitrite levels to nondiabetic values, improving islet and increasing glucose clearance; while it increased islet cell viability, enhanced insulin secretion, inhibited MIP-1α and MIP-2 release, reduced nitric oxide production and decreased apoptosis rates in vitro. 4. The histone deacetylase inhibitor ITF2357 decreases surface CXCR4 and CCR5 expression on CD4(+) T-cells and monocytes and is superior to valproic acid for latent HIV-1 expression in vitro. J Acquir Immune Defic Syndr. 2010 May 1;54(1):1-9. doi: 10.1097/QAI.0b013e3181d3dca3. ITF2357, an HDAC inhibitor, has been evaluated for its efficacy on HIC-1 expression from latently infected cells and its effect on the surface expression of CXCR4 and CCR5. 5. Effects of the histone deacetylase inhibitor ITF2357 in autoinflammatory syndromes. Mol Med. 2011 May-Jun;17(5-6):363-8. doi: 10.2119/molmed.2011.00039. Epub 2011 Jan 25. 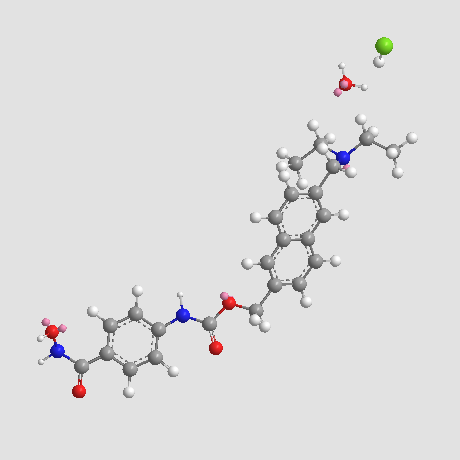 ITF2357, an HDAC inhibitor, was used to treatment patients with autoflammatory syndrome, including 1 patient with TRAPS, 3 patients with HIDS and 4 patients with Schnitzler syndrome, in a pilot study where ITF2357-induced partial response was only observed in patients with Schnitzler syndrome.